Copyright Ecotwaza Co. All Rights Reserved. Ecotwaza Co., is an online shop that features traditional, locally manufactured and environment-friendly craftwork products made by small Japanese firms and introduces them to overseas markets. The company was established in 2006 by Ms. Reina Otsuka, who first dreamed of having a job that could help improve the environment. 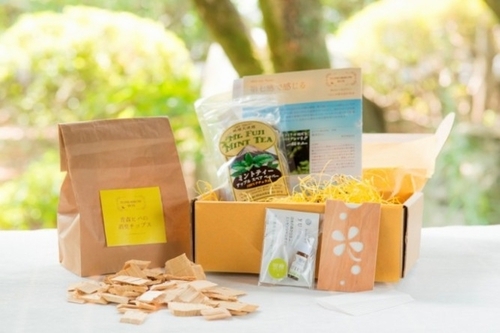 There are many small Japanese firms who offer environment-friendly home products, yet language and cultural barriers sometimes make it difficult to attract attention in overseas markets. Ecotwaza is helping to change that by featuring special home products, providing their background profiles, and making it easy for consumers to buy them on its website. An example of the products it sells online is the "Naked Pan Series" of iron cookware manufactured by a company called Oigen using the traditional "Nambu" technique of protecting the metal from corrosion, not by chemical treatment but by scorching the metal surface at high temperatures. With the support of Ecotwaza, which helps Oigen in trading with the world through its website, its products are gaining popularity in Europe and North America. Another example is the "Tomorrow Box," one of its most popular products, which is a monthly service that sends subscribers products based on basic themes such as "washing" or "aroma," thus providing opportunities for people who want to try things that allow them to live more environment-friendly lives. "I hope that by introducing local Japanese solutions we will give people in many different countries an opportunity to encounter new perspectives from each other and rethink their own local cultures," said Ms. Otsuka. Aiming for 'Earth Satisfaction' by Providing a Selection of Goods and Information -- Cataloghouse Co., Ltd.